Beats Music has taken to employing a new method for their iOS App in an attempt to boost subscribers. With an update to the iOS App on Friday, Beats Music, the music streaming radio service from Beats (yes the same company as the headphones), introduced in-app purchases as a way of signing up to their streaming services and by doing so also forfeited 30 percent of the profit for Apple’s commission. 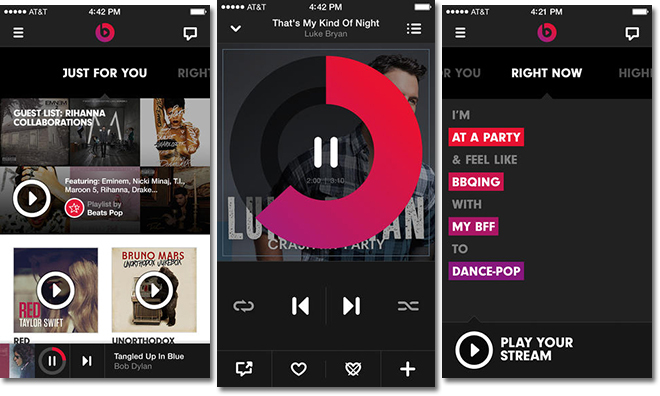 Beats Music has a lot of competition when it comes to not only the big players like Spotify and Rdio, but also Apple’s own iRadio. However, as Beats CEO Ian Rogers says, trying to get people to sign up for their service is a heard thing, let alone requiring them to go outside of the Apple ecosystem in order to sign up for the service. According to Rogers, more than half of Beats users own an iPhone so it makes sense to include the sign-up process within the App itself, albeit in the process forfeiting some of the profits. Beats has already partnered with AT&T in order to try and attract users to its services, and critics suggest that the move just highlights that the music streaming platform is struggling to get traction so has been forced to seek alternative methods, although Rogers states otherwise. Whilst Beats Music has clearly gotten off the ground when it comes to its customer base, it must be feeling the struggle in what is an already crowded market. What do you think? Drop us a comment below if you’re a user of the Beats Music service.